Local Berkeley electrician serving the local Berkeley Oakland East Bay Area and nearby surrounding area. 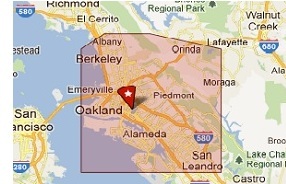 I generally stay local to the local Berkeley Oakland area. That way I can get to you quickly and help you to address your concerns promptly. My Oakland Electrician generally does not leave the Local Berkeley Oakland East Bay area. Rather than run all over the Bay Area and beyond chasing "the big jobs", I stay local to the East Bay area close to Berkeley and Oakland so that I can get to my customers quickly. Most jobs are small jobs: troubleshooting, repairs and upgrades and we generally don't work long term remodeling and major construction work unless its by special request.